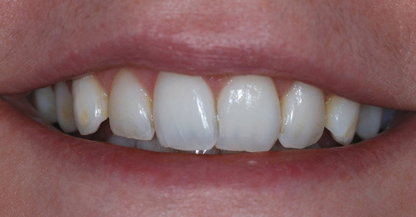 Below are some examples of recent dental treatments. 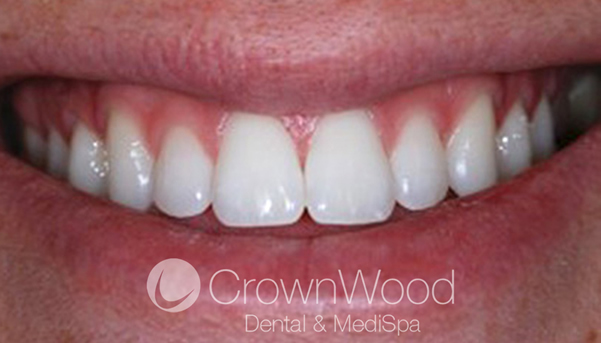 At CrownWood Dental, we employ modern state-of-the-art dental equipment, together with the latest sterilisation and cross-infection control procedures, to ensure the best result for all our patients. 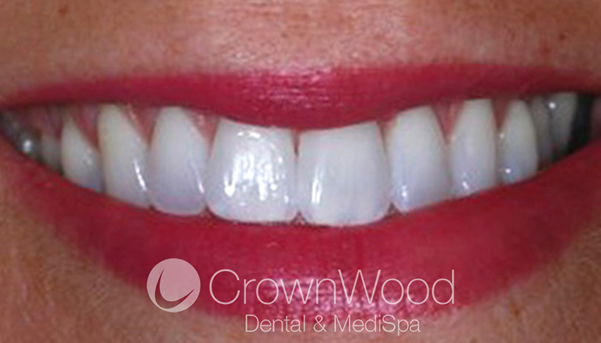 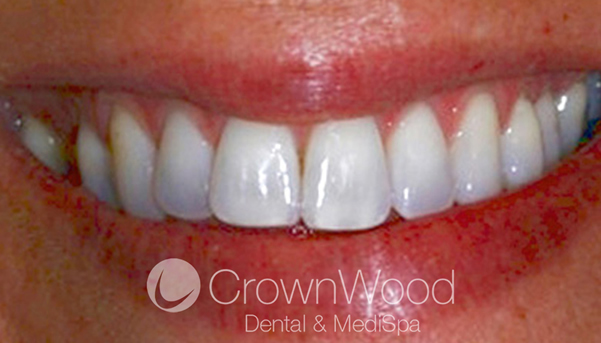 Another lovely result achieved using a combination of in-house Laser Whitening and our Home Tooth Whitening Kit. 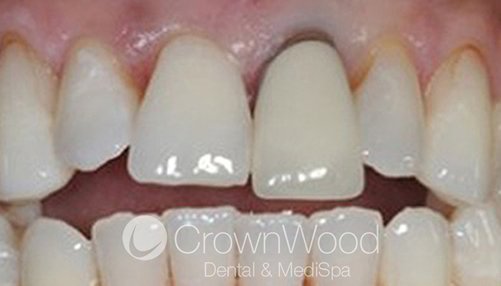 This amazing whitening result was achieved by using a combination of our in-house Laser Whitening followed by the patient using our Home Tooth Whitening Kit. 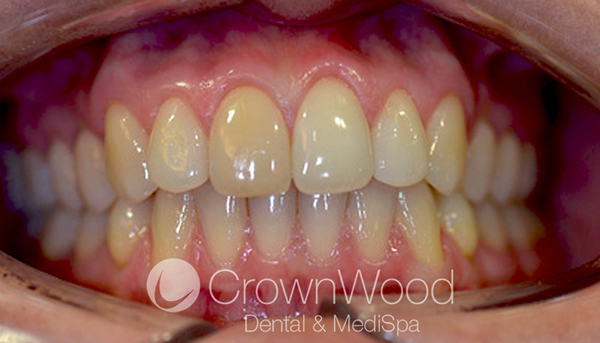 A stunning example of what can be achieved with composite build ups to help create a beautiful, regular smile. 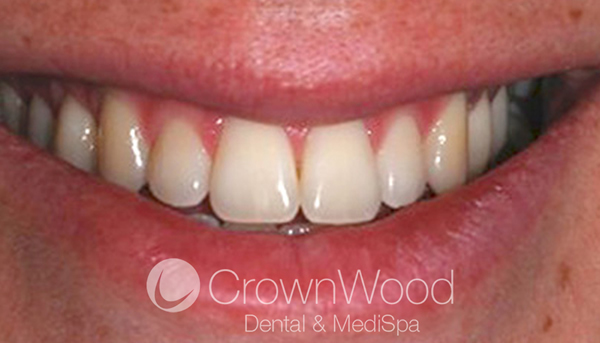 Prior to her treatment with us, this patient was unhappy with her uneven and slightly gappy smile. 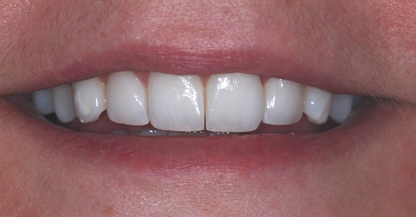 This patient was unhappy with her very old front crown, she was delighted with the finished results and now has the confidence to smile again. 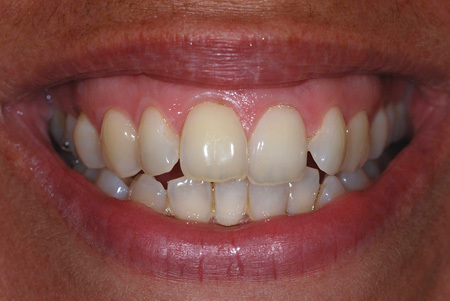 This patient had crooked teeth in the upper arches. 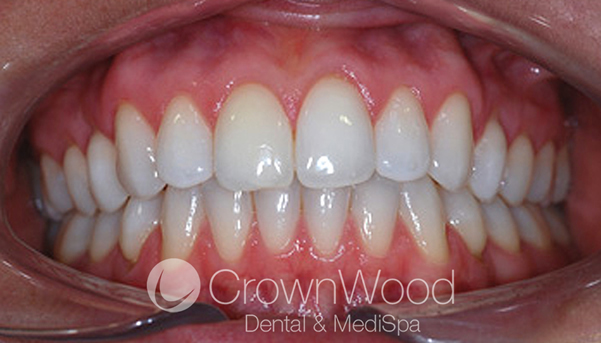 With the use of Inman Aligners, you can see how the teeth are now realigned, thereby creating a more even smile. 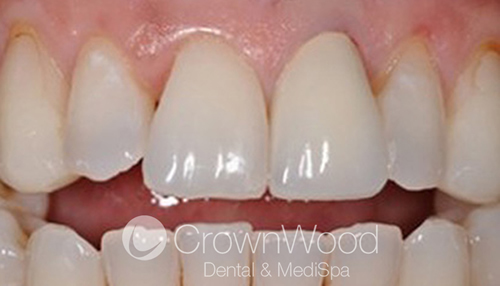 Treatment was followed by a course of Home Tooth Whitening, which achieved an clear improvement and the patient was delighted with the result. 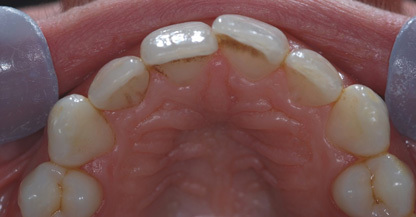 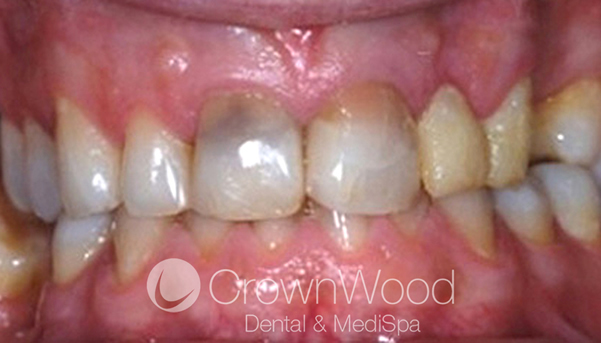 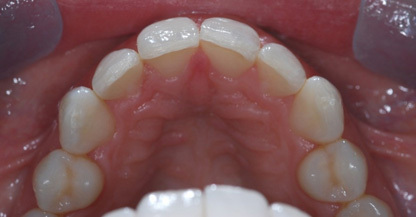 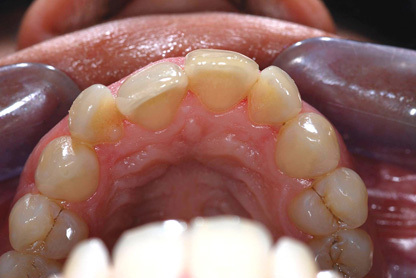 This patient had uneven crooked teeth in both the upper and lower arches. 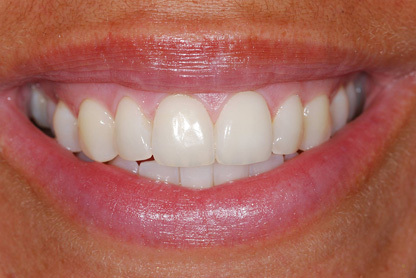 With the use of Inman Aligners, you can see how the teeth in both the arches are now realigned, thereby creating a beautiful and even smile. 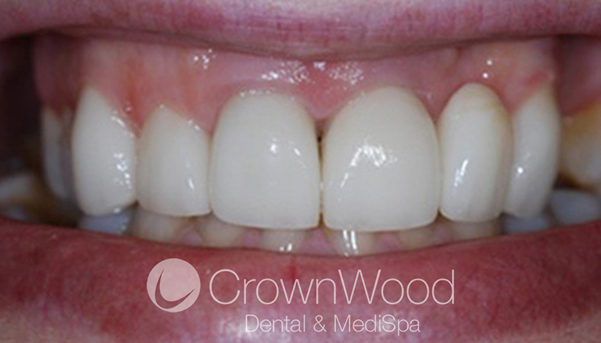 Treatment was completed with a course of Home Tooth Whitening which achieved an amazing result, and the patient was delighted with the finished appearance.